This rich material canters across all categories in solids and prints. Clockwise from top left: Ankle boot by Tracy Reese; Marc Joseph New York T-strap stiletto; peep-toe bootie by Luxury Rebel; Sperry Top-Sider boat shoe; Dansko heeled clog; ballet flat by Chocolat Blu. Brogues and oxfords are downsized for the ladies. 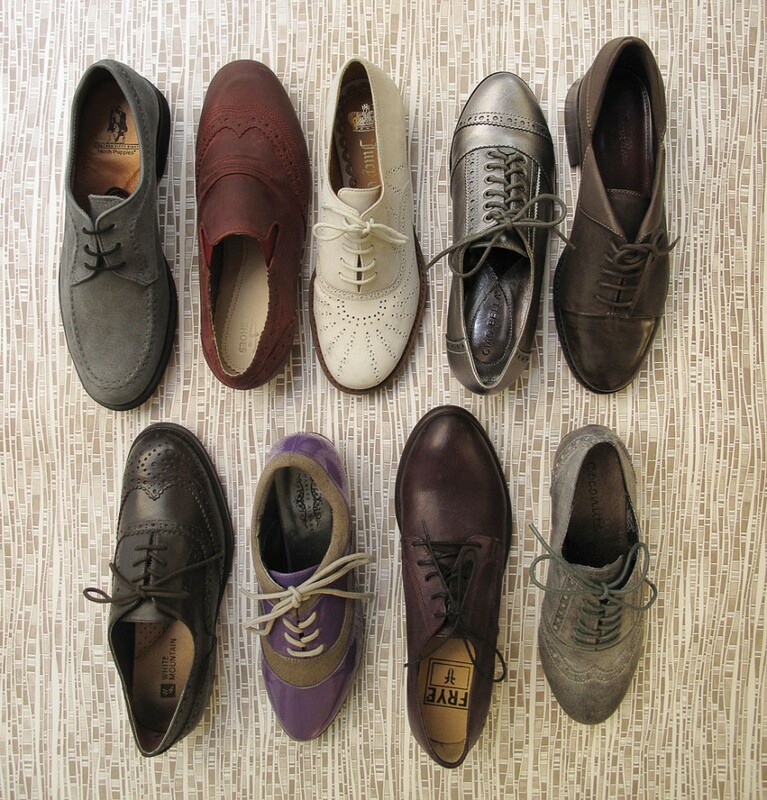 Clockwise from top left: Hush Puppies suede lace-up; J Shoes slip-on; ivory suede oxford by Juicy Couture; Ciao Bella metallic flat; Tracy Reese cap-toe; distressed wingtip by Coconuts; plum oxford by Frye; Charles Albert colorblocked lace-up; wingtip by White Mountain. Lug soles give current silhouettes heavy-duty traction and substance.Clockwise from top: Miss Sixty heeled oxford; gum-rubber lace-up by Schutz; Kelsi Dagger ankle boot with foldover sock; Daniblack slingback; biker-style boot by Me Too. Solid heels ground flirty fashions with stability and comfort. Clockwise from top left: Pour La Victoire ruched-cuff ankle boot; side lace-up by Matisse; Corso Como woven shoetie; slingback by L.A.M.B. ; Restricted peep-toe ankle boot. The Scandanavian slip-on design gets a modern lift for fall. 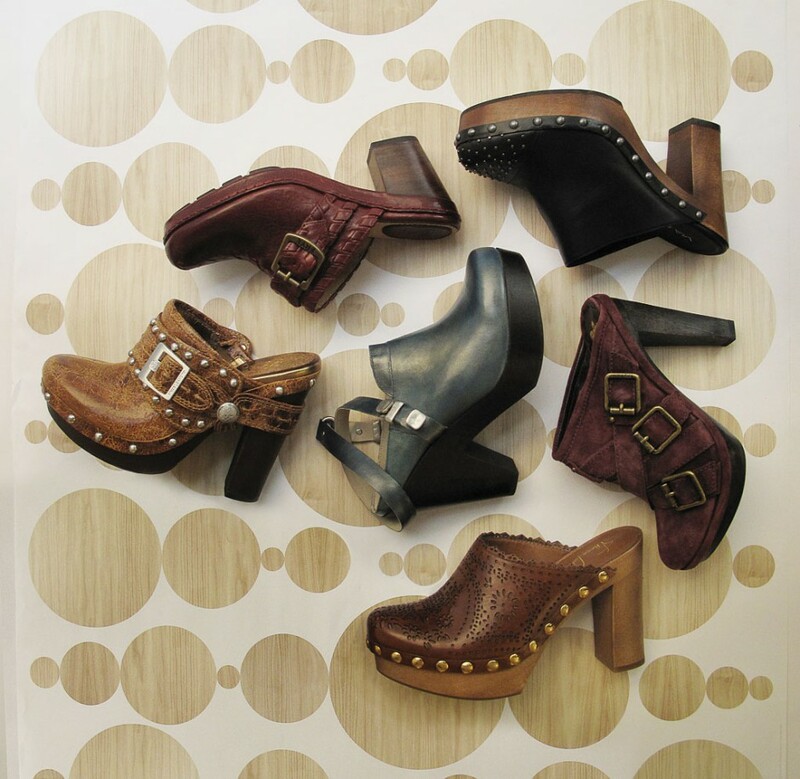 Clockwise from far left: Vince Camuto distressed clog; lug-sole style by Frye; studded cap-toe by Via Spiga; tri-buckle heel by Juicy Couture; Franco Sarto laser-cut design; Bernardo iridescent platform. A leading hue takes a cue from winter weather. 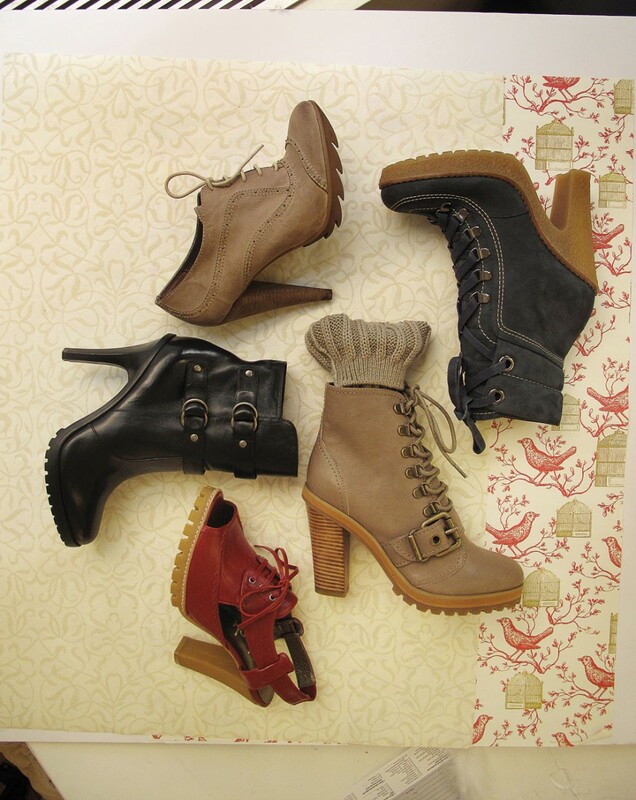 Clockwise from top: Blossom boot with corset detail; T-strap with metallic platform by Velvet Angels; Minnetonka fringe moccasin;Charles by Charles David mesh flat detail; vegan boot by Earth; leather and canvas military-inspired boot by 7 For All Mankind; Lovely People cut-out ankle boot. Formal footwear gets fancified with a french twist. Clockwise from top left: Carlos by Carlos Santana peep-toe bootie; platform with ribbon lacing by Chinese Laundry; Jessica Bennett pump; L.A.M.B. pink and black shoetie; ankle-strap platform by Charles Albert.